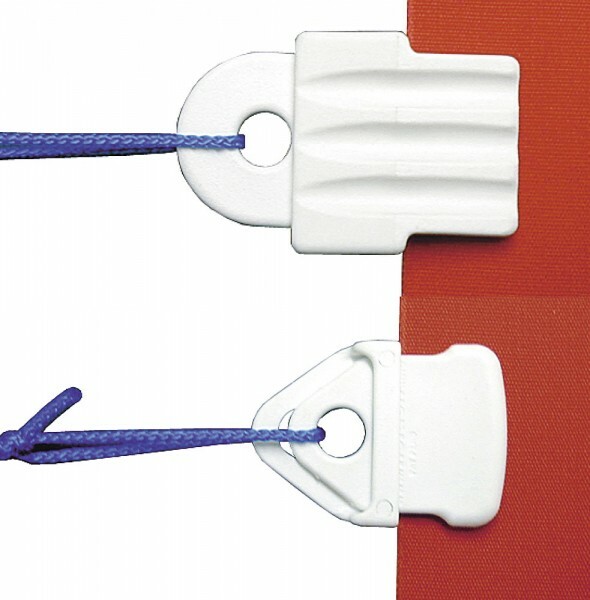 The tarpaulin hooks consist of two parts: a wedge and a shackle with an eye. Pushed together, the pull on the eye increases the pressure on the ledge and slides this further into the shackle. Defect eyes can be replaced or added. Weiterführende Links zu "Canvas hooks"